When I was 18, I worked at JB’s Family Restaurant. If you’re not familiar with that, it’s kind of like Denny’s or Village Inn. Whilst working there, I told one of my co-workers that I had never had apple pie. Yep, 18 years old and had never tried it. After that, they convinced me to try an apple pie parfait from the restaurant. It was basically just layering classic apple pie with vanilla ice cream. You guys, it was so good! Open cans of pie filling and spread apples in the bottom of 8×8 or 9×9 baking dish. In a separate large mixing bowl, mix dry ingredients then add in the butter and work into a crumble. I use my hands or a large fork for this step. Spread topping crumble over top of the apples. Bake at 350* for 25-30 minutes until golden brown and bubbly! Remove from oven and allow to cool to room temperature. 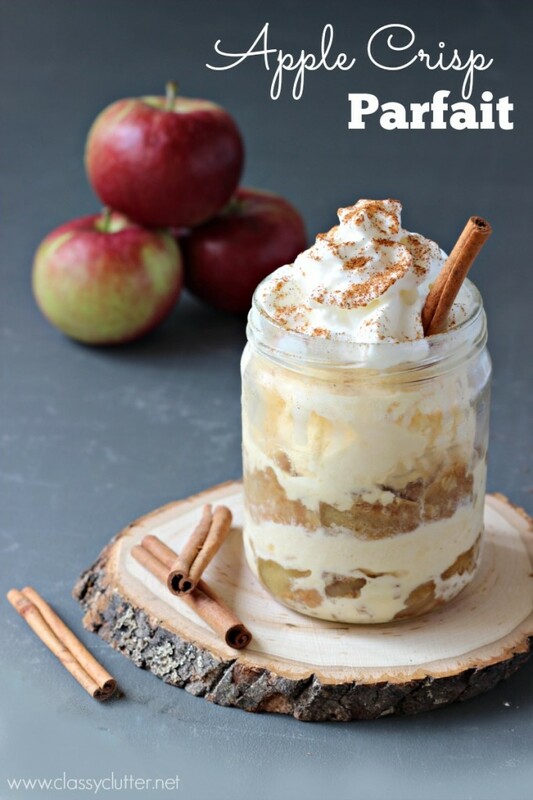 Once it cools, layer vanilla ice cream and apple crisp in a glass or jar. Top with whipped cream and cinnamon and you’ve got yourself a perfect treat! 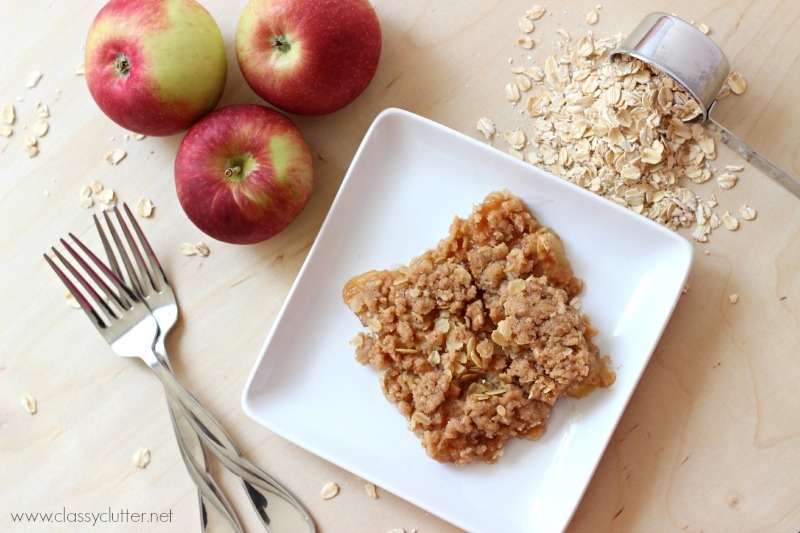 Don’t forget to check out my Apple Crisp Recipe too! this looks VERY good — i just pinned to make it soon! Yumo! I’m pinning this. 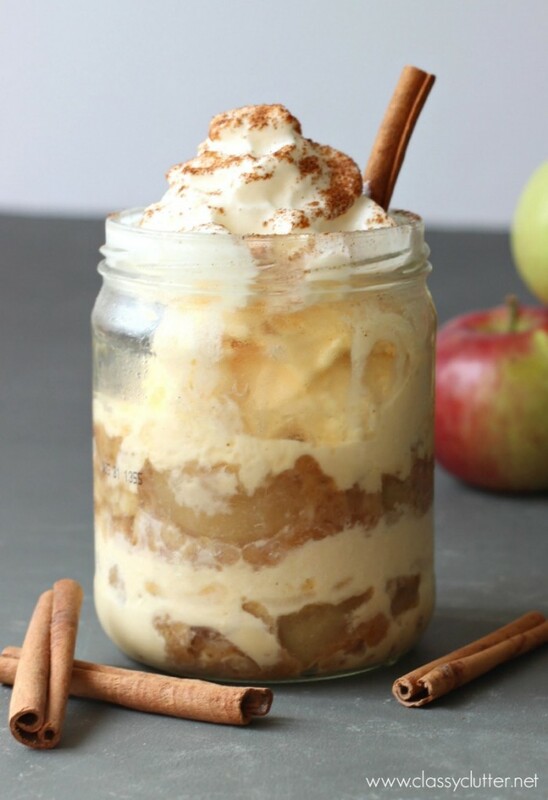 I love anything apple and anything parfait. Thanks for sharing & happy Wednesday! This looks yummy, and the recipe seems simple enough. I can’t wait to try this. I love apple crisp. Pinning! This looks sooo good! My mouth is watering just looking at it, lol. I love it so much it! !